In this Sept. 19, 2017, file photo, Michael Cohen, President Donald Trump's personal attorney, steps out of a cab during his arrival on Capitol Hill in Washington. 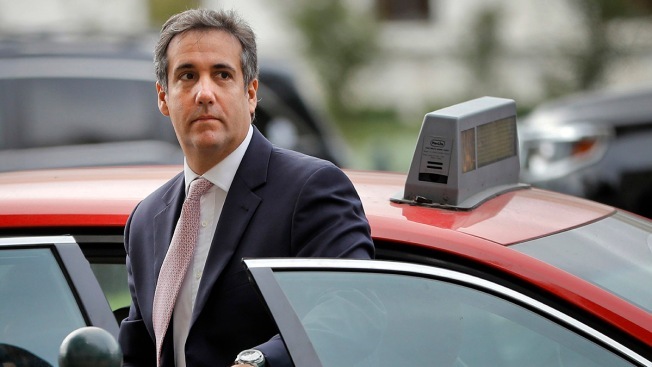 A business partner of Trump lawyer Michael Cohen known as the Taxi King has agreed to cooperate with the government as part of a plea deal, a person with direct knowledge of the proceedings told NBC News. Evgeny Freidman, 47, pleaded guilty Tuesday to a low-level felony in New York state court for stealing nearly $5 million in state taxes and has agreed to cooperate in state or federal investigations. The deal, in which he will pay the state $5 million but avoid jail time, was originally reported by The New York Times. For years, Freidman, a Russian immigrant, has managed Cohen's taxi medallions, which give owners the right to operate New York City yellow cabs. Special counsel Robert Mueller, who is probing alleged collusion between the Trump campaign and Russia, referred an ongoing investigation of Michael Cohen to federal prosecutors in New York. Freidman's plea deal means he could potentially testify in any criminal case related to Cohen. Cohen has long served as a personal attorney to President Donald Trump. The New York attorney general's office, U.S. attorney's office in Manhattan and an attorney for Freidman declined to comment.